Similar to Dungeness meat, this crab meat is naturally sweet and delicious. 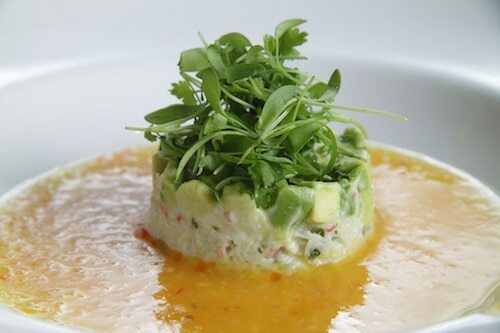 Hand picked to ensure high quality, this is a versatile crabmeat option. Use Chilean Rock Crab Meat in a variety of menu items – work it into pastas and salads, soups and chowders, even omelets! Work it into crab cakes, crab dip and more. If customers ask, you can compare the flavor of this crab meat to Dungeness – it’s sweet and delicious! Keep this crab meat frozen, or thaw to display in your fresh case. It’s easy to work with and a cost effective choice for customers looking to make crab cakes or crab bisque.